Don’t be stingy with these delicious Brownies recipes, they are in fact simply delicious! Share it with your family and friends. With the holidays knocking on our door, it is time to plan your menus. 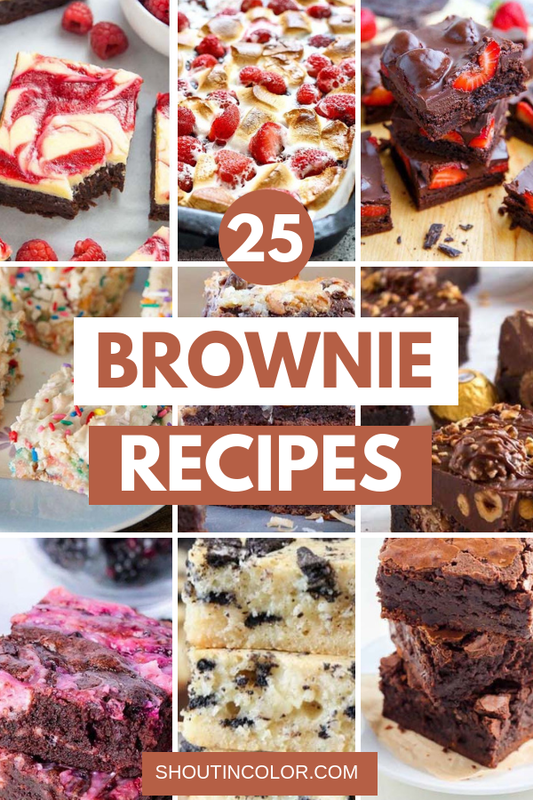 I have selected 25 of the easiest, homemade brownie recipes on Pinterest that you just have to include in your menu this year! 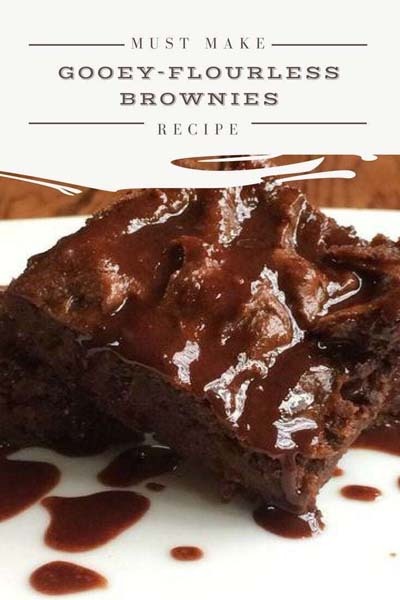 I believe you will enjoy this delightful selection of Brownie Recipes, they will certainly give you some inspiration for the holiday season. To view the full instructions for any of these Brownie Recipes, please click the link below each image. These Ferrero Rocher Fudge Brownies are the ultimate dessert bars! A Ferrero Rocher stuffed fudge brownie, topped with a creamy Nutella Fudge filled and topped with Ferrero Rocher and roasted hazelnuts. Take these bars to another level with a drizzle of silky Nutella Ganache and you’ve got the greatest brownie ever! Dulce de leche brownies – Ooey Gooey fudgy brownies are filled with dulce de leche & chocolate chunks. The perfect dessert for any occasion. Make them today! Do you know how much I love cake batter? No. Well, let me tell you… I love cake batter! You will love these marshmallow brownies. There’s no question about it. How could you not love a gluten-free dessert that combines two of the best things ever – a fudgy, dense, chocolatey brownie and the fluffiest marshmallow meringue frosting you could possibly imagine. And there’s also a video; so you can feast your eyes on purely melted chocolate sinfulness. Just when you thought brownies couldn’t get any better! Introducing crazy moist Poke Turtle Brownies seeping with pockets of caramel, infused with pecans and chocolate chips, smothered in the BEST chocolate frosting and topped with more caramel. My favorite way to eat brownies? With cheesecake on top! Rich and Creamy White Chocolate Raspberry Cheesecake BROWNIES are sure to make you swoon. These butterscotch blondies have a rich butterscotch taste and are filled with butterscotch chips. They’re dense, chewy, fudgy and made in one bowl with no mixer. You can think of them as butterscotch brownies with deliciously gooey centers. 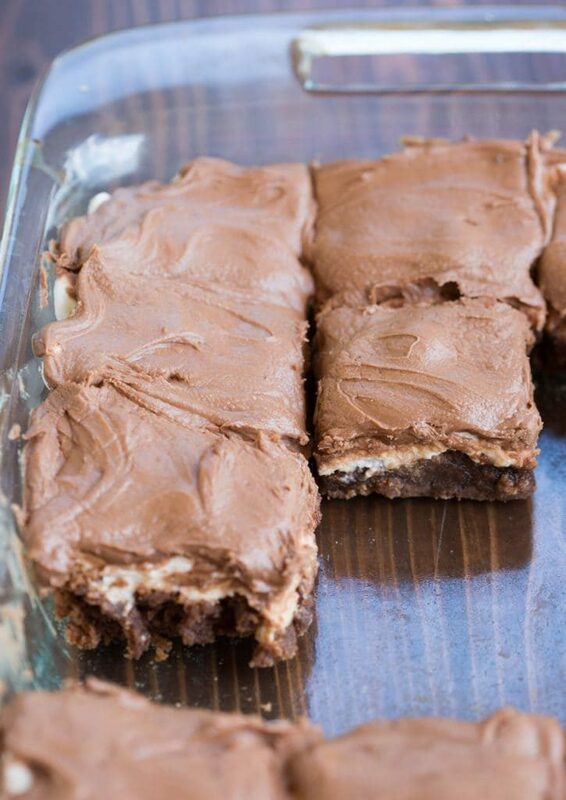 If you need a little something more than a regular brownie, try these Fudgy S’mores Brownies! Chewy, fudgy brownie topped with graham cereal, marshmallows and chocolate will wow them all. These are every bit as rich, decadent, and indulgent as they look. A super thick and fudgy brownie filled with chocolate chips topped which a sticky layer of salted caramel. If you’re into ooey, gooey, and fudgy– you do not want to miss out on this recipe. Magic Layer Brownie Bars, like the Seven Layer Bars you might remember from your childhood, only better. Instead of a graham cracker cookie base, these bars start with a rich chocolate brownie, and layers of toasted coconut, chocolate chips, butterscotch chips, and sweetened condensed milk. It’s the ultimate decadent dessert! Ah, the call of the brownie hits us all. Sometimes it’s midday, sometimes it’s midnight. Dense and rich, neither cake nor fudge, a chewy brownie satisfies that primal need. But sometimes you just don’t have every ingredient in the house when the need strikes. I am a total sucker for brownies. Especially slightly underbaked brownies. I always take mine out of the oven a few minutes early and let them bake a little longer in the pan outside the oven because while I adore brownies, there is absolutely nothing more disappointing than a dried out one. How to make the best fudgy brownies from scratch. These brownies are way better than the box, just read the reviews! Craving something sweet this summer? These chocolate covered strawberry brownies are sure to hit the spot! Chocolate covered strawberries have to be one of the best ways to enjoy summer! I mean you really can’t go wrong with fresh juicy strawberries dipped in a hard dark chocolate shell with the strawberries just bursting in your mouth as you bite into them! These brownies are simply incredible. Fudgy, chewy and totally amazing. Apparently, it’s an old classic recipe from the sweet ladies who served our lunches in Elementary school. I honestly don’t remember the brownies in Elementary school, but I do remember the rolls and the pizza. Remember how good those dinner rolls were? Fudgy Oreo Brownies – Deliciously thick and fudgy brownies that are chocolatey rich, and loaded with Oreo cookies. The BEST brownies you’ll ever try! If you can’t already tell, I have an obsession. Making cookies and cream brownie or blondie has always been a bit of a struggle because most of the time the bars turn out on the cakey side. Not these though. Baked brownies, you know, from those guys @ Baked Bakery in Brooklyn. They’ve been all over the media. Oprah listed them as one of her “favorite things”… and we all know what happens when Oprah announces she likes something. People go nuts for it. I made these Twix brownies for Emma’s birthday party and they were really amazing. They taste just like the famous candy bar with the caramel and shortbread layers. The brownie at the bottom takes them to that next level of deliciousness. I will say they do take longer to make than most brownie recipes, but they are well worth it! Trust me. These bars are so creative yet so simple and are seriously the best of my two favorite desserts on earth. You no longer have to choose between a brownie or a chocolate chip cookie because you can have it all in one! I mean how can you choose one over the other anyway right?! These “Better than a Boyfriend Brownies” are whipped up in one bowl and are so easy even kids can make them. I am pretty sure I could make these brownies in my sleep. I’ve tried more brownie recipes that I would like to admit but all of that practice has made me a brownie connoisseur of sorts, right? Who loves BROWNIES?! The chocolate treats are one of my “go-to” desserts when company comes over, so I like to have several different brownie recipes on hand. When my family saw a recipe for Cheesecake Brownies, they decided to give them a try. Let’s just say I’m so glad they did because this recipe was GREAT!! These Blackberry Cheesecake Brownies are fudgy chocolate homemade brownies that have been swirled throughout with a homemade blackberry cheesecake filling. Perfect for a barbeque, picnic or any time your sweet tooth is calling. Loved these delicious Brownie Recipes? Then remember to pin it for later! 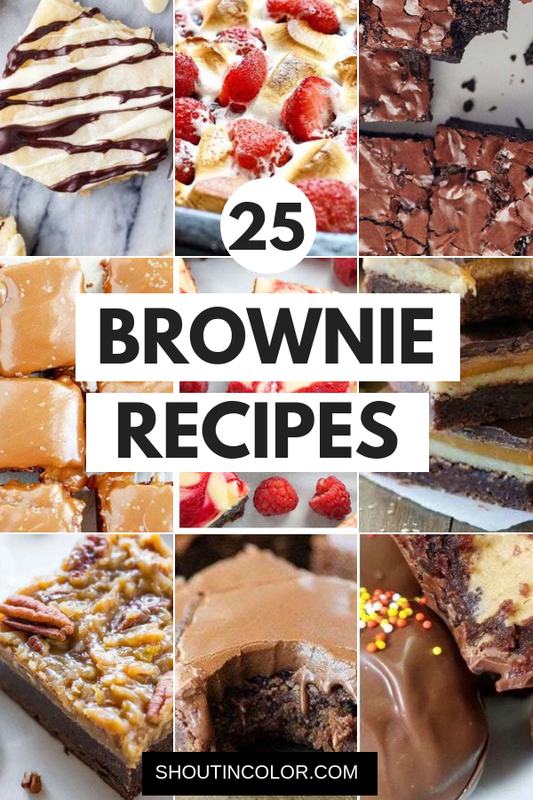 If you enjoyed this roundup of 25 delicious Brownie Recipes, remember to pin it to your Dessert Recipe board on Pinterest. That way you can easily find it anytime you want to.